Right in the middle of Sulu Sea in the Philippines lies an underwater nature reserve and geographic centre of world marine biodiversity. A 97, 030-hectare National Marine Park and UNESCO World Heritage Site. Welcome to the Tubbataha Reefs Natural Park. It is every diver’s dream to be able to dive Tubbataha Reefs and explore the UNESCO World Heritage Site. This well-protected National Marine Park in the Philippines is a mecca for scuba divers and model for coral reef conservation. The Tubbataha Reefs is the apex of Philippine Diving and has become recognized as one of the most remarkable coral reefs on our planet. It is home to nearly half of all coral species found in the world as well as over 180 threatened (or near threatened) species. Be one of the lucky few to enter the otherworldly terrain and awe-inspiring underwater world filled with sharks, manta rays, and school of fish. Due to its isolation, the Tubbataha Reefs can only be visited by experienced divers (40+ dives) on a liveaboard boat. Scuba divers who choose this once-in-a-lifetime dive experience will have exclusive access to Tubbataha’s rich biodiversity, witness an underwater landscape unlike any other, and encounter large marine animals such as sharks, manta rays, and sea turtles. The fees that the divers pay contribute to approximately 60% of the funds needed to conserve and protect the gem of diving in the Philipines. 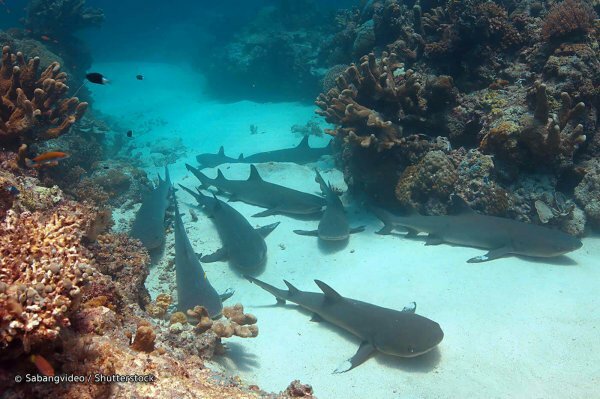 The Tubbataha Reefs National Park is one of the last remaining dive sites in Asia with guaranteed shark sightings on almost every dive. 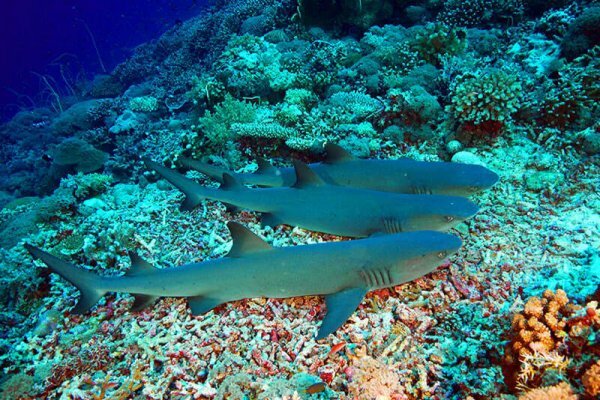 Those who will dive Tubbataha can expect to encounter Hammerhead, White Tip, Nurse and Grey Reef Sharks. Divers can dive Tubbataha from mid-March through mid-June only due to sea and weather conditions. An average of 1200 divers visits the National Marine Park every year. The small weather window and its ‘exclusivity’ guarantee the pristine conditions of the marine flora and fauna. We expect sunny and hot days with above water temperatures around 35°C or more and in water temperature of around 28-29°C. We suggest that you look at the weather forecast before setting off. Tubbataha is not searchable but Puerto Princesa, Palawan is. Keep in my mind that it is about 160km away. Divers will board a Philippine-registered dive and pleasure yacht with a highly experienced crew. 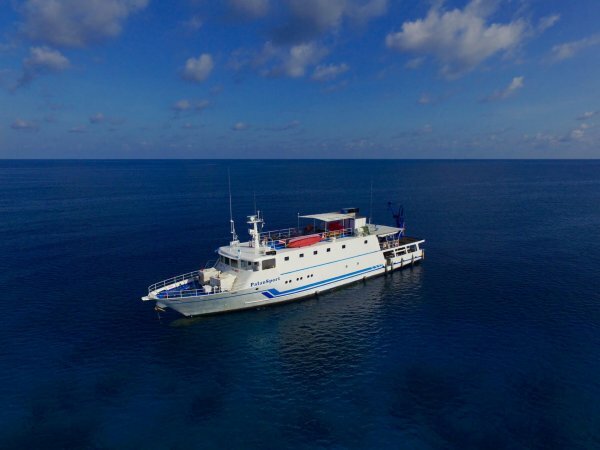 It is one of the longest-running liveaboard vessels in the country. From March to June, all the lucky divers will experience 5 days of Tubbataha diving. From July to October, the vessel moves to other equally impressive dive sites in the Philippines such as Apo Reef and Cebu. The liveaboard vessel has complete basic first aid kit onboard including medical supplies, medical oxygen, and an AED. Although not required, getting a clearance from your doctor is highly recommended as it can be stressful to dive Tubbataha. Safety is our topmost priority. The boat will not proceed if the captain perceives that there is a major threat to the guests, crew, and boat due to bad weather or other factors. Our dive guides and crew are trained emergency personnel. They know how to handle simple accidents and health concerns. For more serious conditions, the TMO and rangers help out with care and evacuation to Puerto Princesa City. There are hospitals and a recompression chamber in the City. Please talk to our itinerary specialist for groups or dive boat charter. Note: Below is a suggested Tubbataha itinerary only and is subject to change depending on the tide, current, weather, and sea conditions. We will meet you at your hotel or airport to transfer you to the port. Early arrivals will have the chance to do some last-minute shopping and lunch in the city. The ship will lift anchor at approximately 5-6pm. Transfer to port upon arrival in Puerto Princesa City. At the end of your Tubbataha dive trip, we will pick you up at the port to transfer you to your hotel in Puerto Princesa or to the airport. 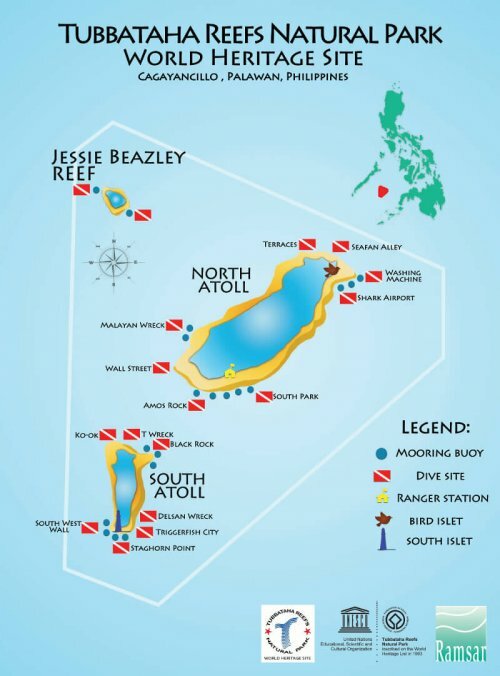 Tubbataha Dive reservations are subject to availability. We may book you with a comparable liveaboard vessel with available slots. Rates and inclusions may vary. Please talk to our itinerary specialist to inquire about the available slots for 2019. Please read our Terms & Conditions before making a reservation. To reserve the slot, 35% deposit is required within 7 days of the booking request. Full and final payment is due 120 days before the sailing date. For short notice bookings made within 120 days of sailing date, the full amount is due when booking. All payments can be made via Paypal (+5% Paypal Fee) or Bank Transfer (bank fees may apply). All guests must complete the Waiver Agreement and Medical Statement/Release of Liability. Minimum of 40 logged dives is required – no need for advanced license but the diver should be experienced. We strongly recommend that you purchase your own dive, travel and medical insurance. Decompression dives are not allowed. There is intermittent mobile service in Tubbataha. Special occasions are always a cause for celebrations. Please inform us in advance for any special occassions such as birthdays, honeymoon or even milestone dives. For a hassle-free Tubbataha dive trip, our Palawan itinerary specialist will be happy to reserve the slots for you.